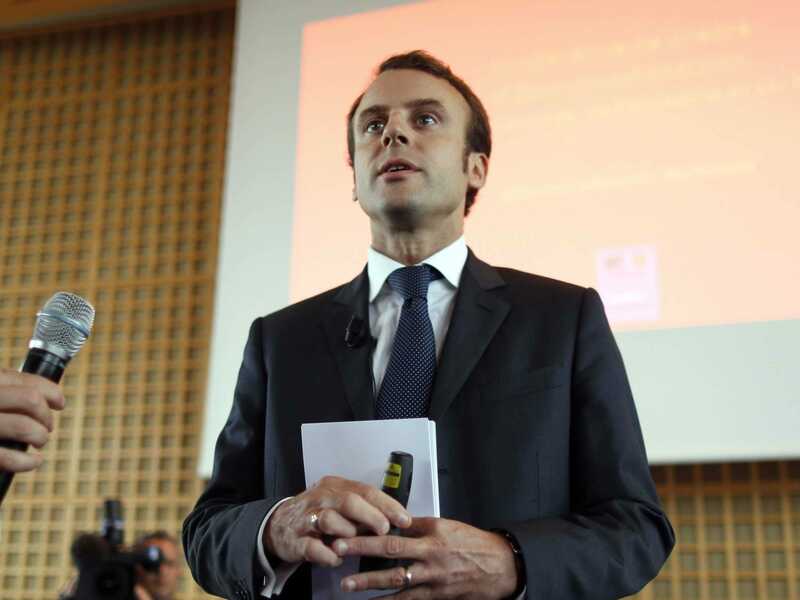 REUTERS/Charles PlatiauFrench economy minister Emmanuel Macron approved the GE-Alstrom deal. Good morning! Here’s what you need to know before markets open in London, Paris, and Frankfurt. The French Government Just Approved the GE-Alstrom Merger. General Electric’s planned €12.4 billion ($US15.6 billion) purchase of most of Alstom’s power business was approved by economy minister Emmanuel Macron. PIMCO’s Flagship Fund Saw Its Biggest Outflows Ever. $US27.5 billion (£17.7 billion) left PIMCO’s Total Return Fund in October, bringing the fund’s assets under management to $US170.9 billion as of 31 October, a roughly 14% decline from the start of the month. Republicans Now Control Both US Chambers Of Congress. The Republicans needed six additional Senators to win a majority in Tuesday midterm election, and won seven. The IMF Thinks It Prematurely Pushed For Austerity. The IMF gave leading economies faulty advice following the 2008 financial crisis, by directing them to cut spending and rely on central bank stimulus for growth, an internal policy review said Tuesday. Markets Are Mixed In Asia. The Nikkei closed up 0.44%, while Hong Kong’s Hang Seng is currently trading down 0.60%. Rolls Royce Has Cut 2,600 Jobs. The engine maker is also replacing its finance chief after two profit warnings in an eight-month period. PMIs Are Coming. Between 8.15 and 9.30 a.m. GMT, European PMI readings will be released, with the overall trend in the eurozone and UK expected to be slightly downward. At 10 a.m. GMT, European retail sales figures are out, with economists expecting a 0.8% drop between August and September. Cement Maker Lafarge’s Third Quarter Met Expectations. French cement maker Lafarge, which is preparing to merge with Swiss-based Holcim, confirmed its €550 million ($US696.9 million) 2015 cost-saving goal on Wednesday.